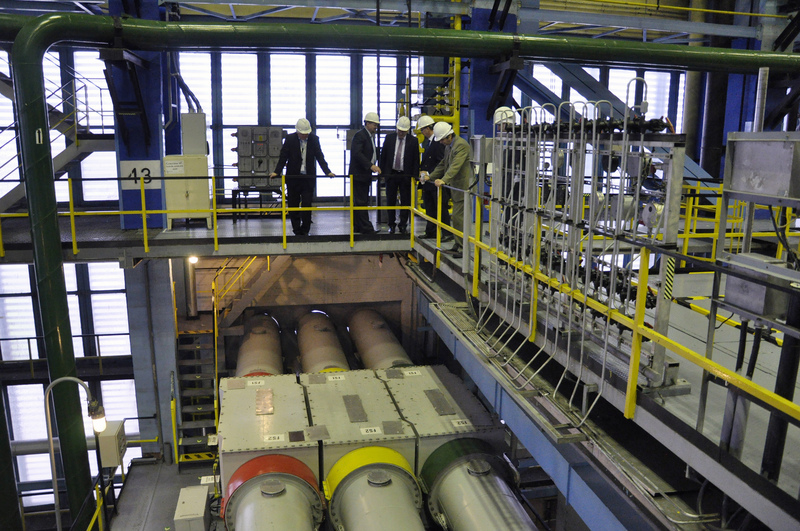 [UPDATED on Monday at 17.10] The European Commission on Monday (6 March) gave the final green light to Hungary's controversial extension of the Paks nuclear plant, which is being financed and built by Russia. In a probe that opened in 2015, the EU commission looked into whether the construction of two new nuclear reactors in Paks had received illegal state aid. 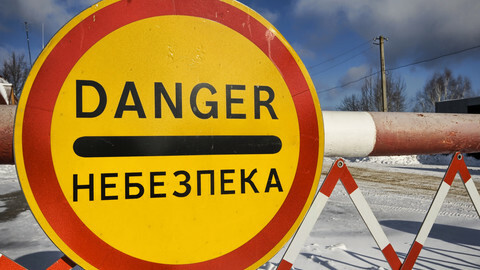 The EU regulators concluded that the project cannot be financed solely on market conditions and needs state aid, to which the commission agreed under three conditions. Firstly, Paks II will have to fall under a new company, and needs to be legally separated from the current owner, the MVM Group, Hungary's largest power company, so that losses cannot be absorbed or hidden in the parent company. Secondly, Paks II will sell at least 30 percent of its total electricity output on the open power exchange, with equal access to all market players. "The rest of Paks II's total electricity output will be sold by Paks II on objective, transparent and non-discriminatory terms by way of auctions," the press release of the Commission noted. The third and final condition stated that if the project is profitable, the operator cannot reinvest the profits for further developments, and they can only be used to pay the investment back to Hungary, and on maintenance or operational costs. The Hungarian government has previously argued that no state aid is needed for Paks II to operate, but the Commission did not agree. However, it allows the state aid under these conditions. 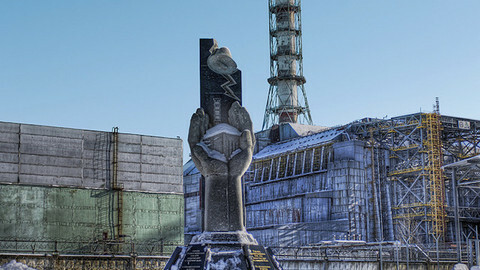 The Hungarians in the end referred to to Euratom treaty, also cited by the UK in the case of the Hinkley Point nuclear plant, which states that member states need to "facilitate investment and ensure the establishment of the basic installations necessary for the development of nuclear energy in the EU". With the closure of this investigation, the EU commission has given the green light to the €12.5 billion project, which will be built from a Russian-financed loan that accounts for at least 80 percent of the costs, and by the Russia state-owned Rosatom company. The decision, based on state aid rules, did not delve into the origin of the funds, nor into whether building a new nuclear plant is consistent with EU's common policies on energy. Building Paks II is Hungary's "right under the EU treaties," EU competition commissioner Margrethe Vestager said in a statement. "During our investigation the Hungarian government has made substantial commitments, which has allowed the commission to approve the investment under EU state aid rules." Environmentalists criticised the Commission's decision. Greenpeace EU legal adviser Andrea Carta called the EU executive "spectacularly irresponsible". "It’s allowing massive subsidies for a project backed by a government that openly challenges the importance of independent oversight for nuclear safety," he said in a statement. Green MEP Benedek Javor also voiced concern over the decision. "Despite the Hungarian government’s repeated denials, the European Commission has confirmed that the Paks II project will benefit from state Aad. By doing so, the Commission effectively concedes the underlying economic weakness of the project," he said, adding that the project will distort regional markets. The Hungarian MEP told Euobserver that with the decision the Commission also sends the signal that nuclear energy enjoys a special status among energy sources, which might dissuade supporters of the energy union from actually working together. "It goes against the fair market that citing the Euratom treaty gets member states away with pumping money into the nuclear sector," he added. An earlier infringement procedure looking into whether the project was in line with EU procurement rules, as it was initiated without a tender, was closed last year and stated that Hungary did not break EU rules. Citing the so-called technical exclusivity exemption, which means that when the technical and safety requirements of the project can only be met by one company, it can be compatible with EU laws to award the contract directly to that company. However, tenders will have to be open for subcontractors. 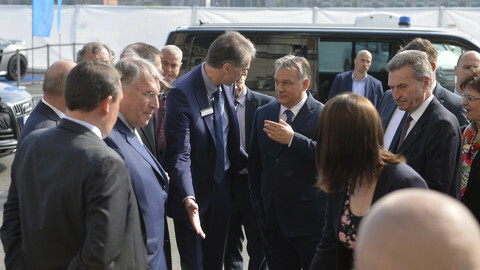 The project is viewed by critics as another example of Hungary's prime minister, Viktor Orban, cosying up to Russian president Vladimir Putin. 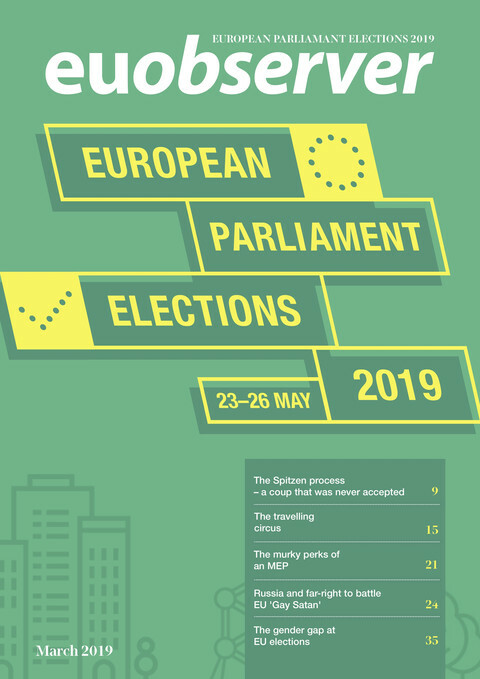 MEP Javor said that while the Commission's original probes were quite forceful, yet the outcomes are weak. He said he can only speculate what has changed the Commission's mind. But Javor claimed that "a dark lobby network could be drawn up" behind the scenes. He cited the example of companies such as Almstrom possibly getting a piece of the subcontracts, and shady lobbyists like Klaus Mangold, who has Russian ties, works for the Hungarian government and shuttles an EU commissioner in a private jet. 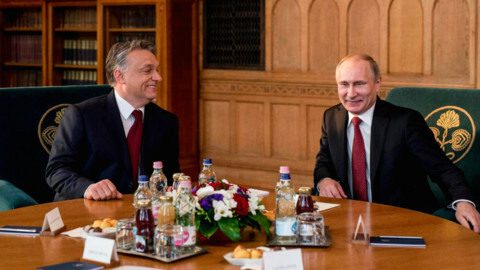 Hungary is denying reports that the EU has blocked its €12bn nuclear deal with Russia, amid concerns on monopolies, public procurement rules, and state aid. Thirty one years after Chernobyl, Europe has a new nuclear problem on its hands, so why is Lithuania the only one raising the alarm? Anti-nuclear Austria takes the EU Commission to court over Hungary's controversial Paks II nuclear plant, financed and built by Russia. But it is the Euratom treaty itself that could be on trial. Lobbyists and politics are having a detrimental effect on important nuclear standards all across Europe.